The closets and cupboards that we don't open very often were acquiring some nasty dank and stale smells over time. 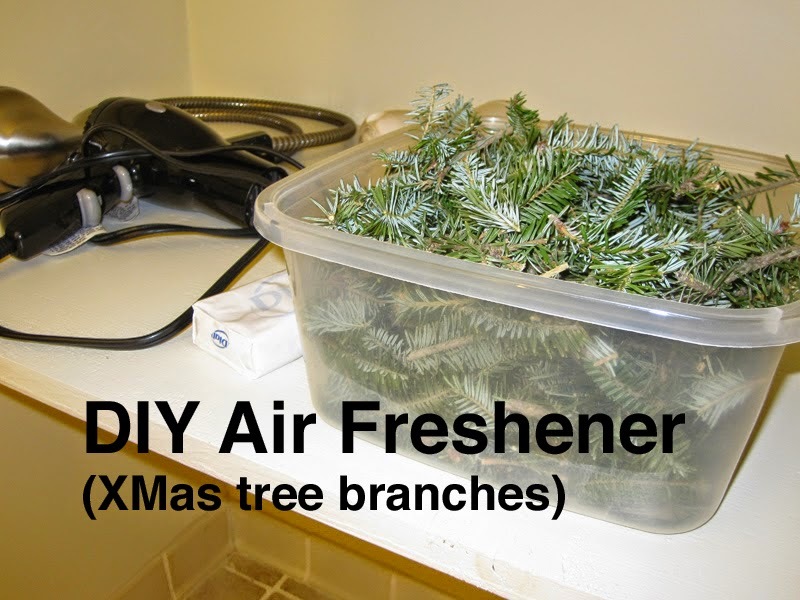 Rather than buying an air freshener, we found out that cut up Christmas Tree branches worked pretty well as DIY air fresheners. It's been about 4 months and the closets still smell pine-fresh. Take that Glade! We cut up an entire mini-tree into several tubs of branches and put them in the closets and cabinets that don't get opened very much. This is a fantastic idea! I have never thought of it! Thank you for sharing it! I am going to try this after Christmas. Best regards!